Finland is removing barriers between subjects, as well as classrooms. 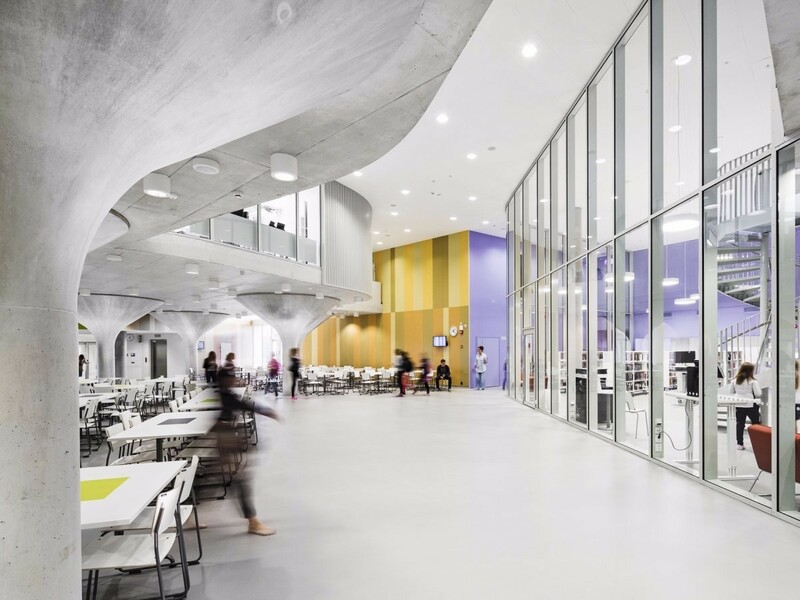 According to CityLab, an architecture website, the country is undergoing an ambitious national redesign of its 4,800 schools. Some 57 new schools began construction in 2015 and 44 in 2016. Others are being refurbished using open-plan principles. CityLab reported in August that: “This still leaves most schools with more traditional layouts, but the overall ambition is to steadily replace or adapt these as their facilities come up for renovation.” The schools are designed with acoustics in mind, as one of the criticisms of past efforts to create more flexible educational spaces was that they were too noisy. Reino Tapaninen, chief architect at Finland’s Department of Education, told CityLab that design prevents the space from being excessively loud, with a “lot of soft chairs, big cushions, rocking chairs, sofas, as well as moveable walls and partitions behind which you can hide yourself for private discussions”. The traditional desks and chairs have disappeared, instead there are spaces where different age ranges gather to share their learning. Finland’s schools teach mixed-year groups (or grades), and from an early age children have more say in what their weekly lessons will be comprised of. Last year, Education Week ran an interview with Finland’s education minister, Sanni Grahn-Laasonen, in which she outlined some of the changes being introduced, including the move away from subjects being taught in separate “silos” to “multidisciplinary” learning. The curriculum, Education Week pointed out, requires at least one extended period of so-called phenomenon-based teaching and learning (PBL). During this, students study a traditional subject in a holistic manner. They must be involved in planning these periods and must be able to assess what they learned from it. Finland’s freer style of education has been widely hailed a success. Though the country has slipped in the international PISA education rankings in recent years, it is still far ahead of most of its European peers in maths, science and reading. Experiments with more flexible learning spaces and teaching styles are not new. UK academic Professor Stephen Heppell, who has campaigned for and advised governments on IT, education and school design for more than 20 years, argues that if education is to be fit for the 21st century it needs a different approach from the teaching of the past. Heppell was involved in the development of flexible science-learning spaces at Wesley College in Perth, Australia, and wrote a primer about how learning and teaching should be approached within them. Teaching is a highly respected, well-paid profession. There are no school inspections or teacher evaluations. School days are short and the summer break is 10 weeks. Children are assessed by their teachers. The only nationwide exam is for those who continue studying to 18. Average class size is 19 pupils. Success has been attributed to a traditionally high regard for teaching and reading.